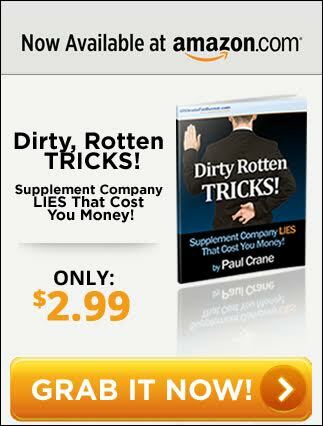 Home » Nutrition and Diet » Lose 9 lbs a week eating FAT-MELTING FRENCH FOODS??? As a personal trainer, diet coach, dance instructor, group fitness instructor, author, and in the trenches of the fitness industry day in and day out, I see a lot of sensational claims about the next fitness craze or great new diet. The industry is littered with lots of “gurus” who claim that their product is exactly what you need to follow to achieve your results. I like to think that most people are sensible enough to see through the extravagant claims. Wow! That’s some pretty fast – and pretty incredible – weight loss. For instance, if I’m not really a fan of cheese, pasta, and potatoes…what’s a girl to do? Alright, let’s get to the “meat” of the article, which summarizes the three basic rules of “French Slimming” covered in The Parisian Diet book. 1. “Eat three squares a day. Set meal times—and stick to them—while going cold turkey on snacks.” The reasoning is that you will cut down on daily caloric intake by eliminating the extra 2-3 meals you’d otherwise be eating. If you’re likely to increase portion sizes at breakfast, lunch, and dinner to make up for the difference, AND choose foods that are richer (like real bread and real cheese), you won’t see any improvement on the scale, even if you eliminate mid-day snacks. Also, there’s also plenty of research showing that more frequent grazing (I’m not talking about repetitive donut eating here) can help control blood sugar better better and keep hunger at bay. I know from experience, that choosing the items from the Parisian Diet sample menu would make me hungrier, not fuller. For instance, the sample menu offers up as a choice a whole grain bagel, fat free yogurt, and 2 teaspoons of honey. Tasty, but too low in protein and the healthy fat that helps keep you satiated until your next snack (or lunch in this case). A high carbohydrate meal like that would have me hungry in an hour. The three squares a day plan might not suit people who have extremely long days, like nurses or those in the restaurant industry for instance, who often work 12 to 16 hour shifts. 3 meals a day would mean gaps of 5 hours or more between meals, too much of a gap and far too restrictive. The suggestion to “set meal times—and stick to them” works poorly for those with busy schedules too. For instance, a post-partum working mom has to juggle the needs of work with those of her child/children, and having to be committed to a set meal time is often unrealistic. In her case, frequent, smaller, and healthier snacks might suit her needs better. The three squares concept would also be hard for those with activity levels that require frequent eating of smaller meals, such as mine for instance. I find it harder to teach fitness classes on a full stomach, and snacking on smaller meals throughout the day works better for me to fuel my day, with less blood sugar swings. The feeling of being weighed down by a giant meal when working is unappealing. Oddly enough, the author later points out that “the human body thrives on smaller portions of more satisfying food” which conflicts with the suggestion to eat only three squares. 2. Pick quality over quantity. The author argues that French tradition calls for eating the real thing in modest amounts, and that low-cal foods often stimulate appetite, causing us to eat more. I partly agree with his point. If you’re going to choose a food that’s decadent and rich (such as dark chocolate, my favorite) you might as well go for the real deal rather than eat sugar-free chocolate pudding only to yearn for the real thing and have it later anyway. I think the advice given by the author of “French Women Don’t Get Fat” is a bit more helpful—for the foods that you know you can’t do without (chocolate in my case, or a really good steak), one has to exercise portion control. She recommends the same thing I do when coaching diet clients—get a kitchen scale and use it to measure your portions of real food (initially, at least) so that you can understand what a proper portion size really is. You’d be saddened about the size of an ounce of real cheese. The author misses part of the overall nutrition equation when recommending you eat an ounce of “good cheese” on hearty bread. He gets a points for the “ounce” recommendation, but again even with bread, portion size is important—a commercial bagel in America is literally twice the size of a foreign bagel. NO diet will give you all the nutrients you need. Diets in essence involve calorie-restriction of some sort, and cutting calories means you’re cutting out certain nutrients. If you’re going to go this route, at least attempt to boost your daily fiber content by adding some vegetables to the meal, and supplementing with a multivitamin. I agree, savoring your food (or at least eating your meals slowly) is a good idea. I’ve recommended the strategy to find a room (such as the dining room) to have your meals (or at least ONE meal), and taking some time to enjoy the meal. Perhaps the French have a slower lifestyle (fewer work hours, more vacation, extended maternity leave, etc) than that of Americans, which allows them the extra time to savor every meal. The concept of striving to savor every bite is an admirable one. Sadly, for some of us it’s unrealistic. Working parents might come home to the usual parenting duties, like fixing the kids their dinner, helping with their homework, cleaning up dishes, getting the kids ready for bath and bed, packing their lunches, attending to their own needs, etc etc. Just because these people can’t sit down to savor the meal doesn’t mean they can’t succeed in weight loss. Finally, some people, e.g., those that have jobs requiring long commutes or overcommitted schedules often find themselves eating “on the run” or having to resort to meal replacement shakes or foods that require no refrigeration. While not ideal, it’s better to eat something than to have to worry about being a slave to your taste buds either. The truth is, a more moderate approach of gradually adding exercise and activity to your day, and embracing gradual lifestyle changes is often the best solution for permanent weight loss. You might not lose 9 lbs in one week, and your progress might not be quite so dramatic. I realize that’s not what most people want to hear, but it’s the truth. I’ll say it again: There are no short cuts, no quick fixes — only a commitment to permanent changes in behavior is going to help you burn the fat and keep it off long-term. Despite what Woman’s World tells you. Your critique of “Lose 9 Lbs a Week…” is well-constructed, level-headed, common sensed, and educated. Your explanations for your conclusions. and examples you provide are quite persuasive even to the most gullible. Hopefully those desperate for some weight loss will follow your advice. Based on this review of the “Parisian Diet” by Dr. Yoni Freedhoff, I guess I’m not surprised by the “9 lbs.” claim…it sounds like a near-starvation diet, at least in the short term.